Experts to Help You Overcome PCOS! 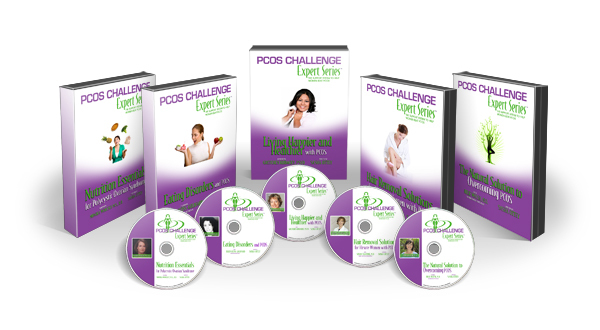 As part of our continuing mission to provide women with PCOS the best information and support resources for overcoming Polycystic Ovary Syndrome, PCOS Challenge has teamed up with five renowned PCOS health and wellness experts to bring you the PCOS Challenge Expert Series™. Registered Dietitian Monika Woolsey will share the basic nutrition concepts for managing PCOS–the weight gain, the depression, the insulin resistance…even the cravings. You will have more foods you can eat than ones you will need to restrict! What nutrition supplements may help–and hurt–your overall PCOS condition. Order now to learn great ways to improve your body image, make peace with your food, and live more freely, happily, and healthy. Listen to gain a better understanding of the psychological symptoms associated with Polycystic Ovary Syndrome, and the coping skills necessary for living happier and healthier with PCOS. Listen to gain a better understanding of what’s going on with your body, and how to bring yourself back to balance naturally.